New Juniper Cabin is Ready! 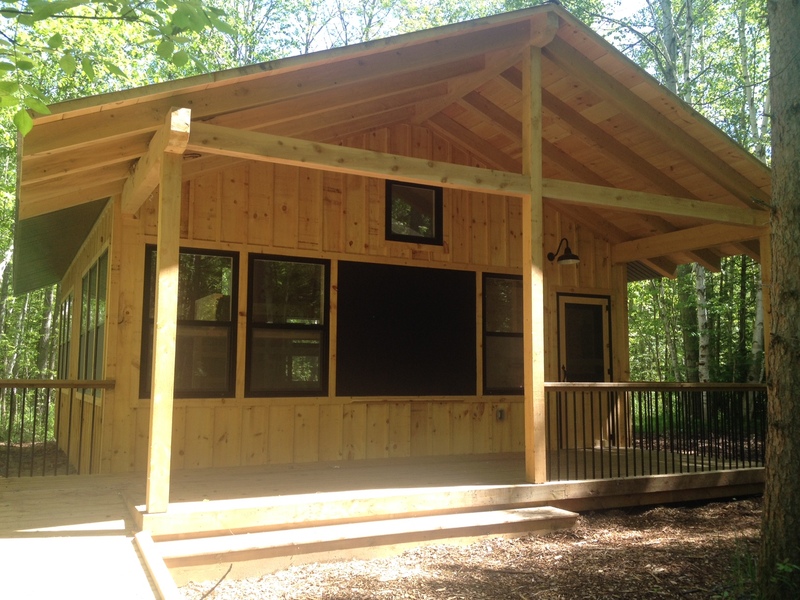 We’re happy to report the construction on the new Juniper cabin is now complete just in time for summer camp. Juniper is a hybrid of our two new cabin designs, with the brightness and airy feel of the treehouse cabins, coupled with the practicality of being low to the ground. Best of all……………..this cabin is wheelchair accessible! This new design allows for 16 beds and lots of common space in the centre. This brings our total heated, winterized sleeping capacity to 164! A very special thank you to Silver Lake alumni Rachel Harder and Matt Snider for generously supporting the construction of this cabin! Posted on Friday, March 3rd, 2017	category: News.